Happy Monday, all! And Happy Valentines Day-Eve. 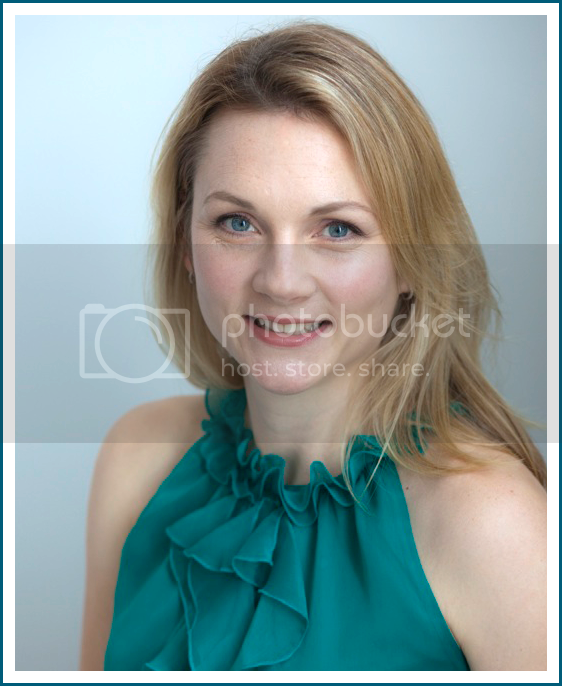 Today we have a guest blogger for you: Patricia Hall. Patty is a reader of our blog and contacted me a few weeks ago, asking if she could do a Valentines Day post for our readers. We were thrilled and of course agreed! Patty works part-time for a florist and flower delivery, Serenata Flowers, but loves to surround herself with flowers at any given point of time. Even in her free time she loves to involve herself with everything flora and fauna. I hope you enjoy her tips, and take it away Patty! Valentine's Day is the one day of the year when everyone should make an effort to show their loved ones how much they care with a special gift or action. Flowers are often the perfect way to express love and devotion. Not only are they attractive with a beautiful floral aroma, but they are a gift that is associated with romance. Women and men of all ages and cultures love to receive flowers any day of the year, but on Valentine's Day it is really something special. Unfortunately, some flower delivery services are rather expensive if the buyer is not careful. In order to pick out the perfect Valentine's Day flowers on a budget, use this helpful guide to make the right flower choices and save money, all while making an impression on any loved one. The first thing to consider is which flowers will be most affordable this Valentine's Day. Don't worry yet about which company to order from or where to (though might I suggest Serenata Flowers! ), but focus on the most affordable types. 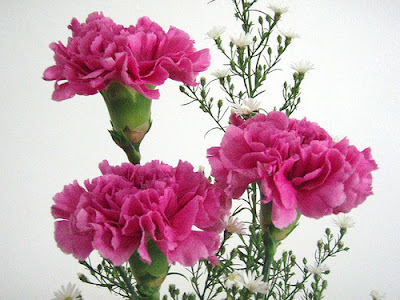 Ideally, there will be some local flowers which are in season which can be used. However, in many areas of the world Valentine's Day, or February 14th, comes during the winter and therefore the selection is minimal. 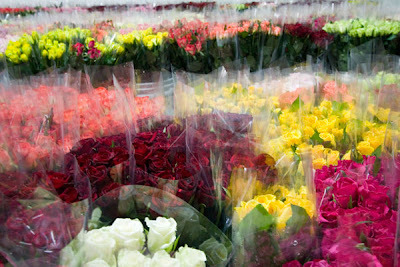 Whenever possible, research if any flowers are in season locally, which will be the cheapest option most of the time. The most expensive flowers are usually anything white, because they have to handled very carefully and often bruise during shipping, or cultivated types like orchids and gardenias. 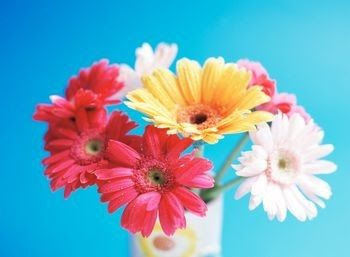 The cheapest choices are often things like daisies and carnations. When it comes time to purchase the perfect Valentine's Day flowers, the buyer may realize that it is the labor involved to arrange the flowers which are the most expensive part of the purchase. This is often the case, as the florist needs to charge for his or her time spent arranging the floral display. To cut this cost, considering arranging the bouquet alone on Valentine's Day. When purchasing the flowers, don't pay extra for things like wraps, ribbons or matching greens to accent the flowers. Just pay the bare minimum for the individual flower stems and do the arranging yourself. DIY floral arrangers will need to find some large green items like fern leaves to fill out the bouquet. Instead of wrapping it up in an expensive material that will only be thrown away, invest in a cheap or secondhand vase instead and present a loved one with the whole display at once. 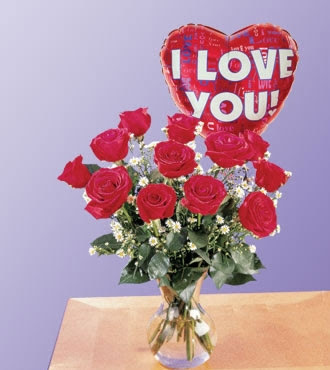 Although it may seem logical to find an online or local florist to purchase Valentine's Day flowers, that is certainly not a necessary requirement. In fact, many people can save money by heading elsewhere for a more affordable selection. For those are looking for a large amount of flowers and live in a city, consider heading to a retail flower seller. These wholesalers sell to the florists themselves, so it is possible to cut out the middle man and enjoy the bargains. Don't forget the option of local grocery stores and even gas stations as well, which sometimes offer bargains on flowers leading up to Valentine's Day. For a special display, unwrap the packaging and add a personal touch to make it a more unique bouquet or floral arrangement. Rather than spending a large amount of money on a bouquet, consider arranging the flowers in your home in a way that any special someone will truly love. Often, a one of a kind touch this like will mean more than even the most expensive bouquet delivery. Consider the colors in the home where the flowers will be displayed in order to decide on the perfect complementary colors. Add in budget accessories like a ribbon for the vase or a card, banner or even cheap balloons that will make the whole arrangement look more upscale and luxurious. 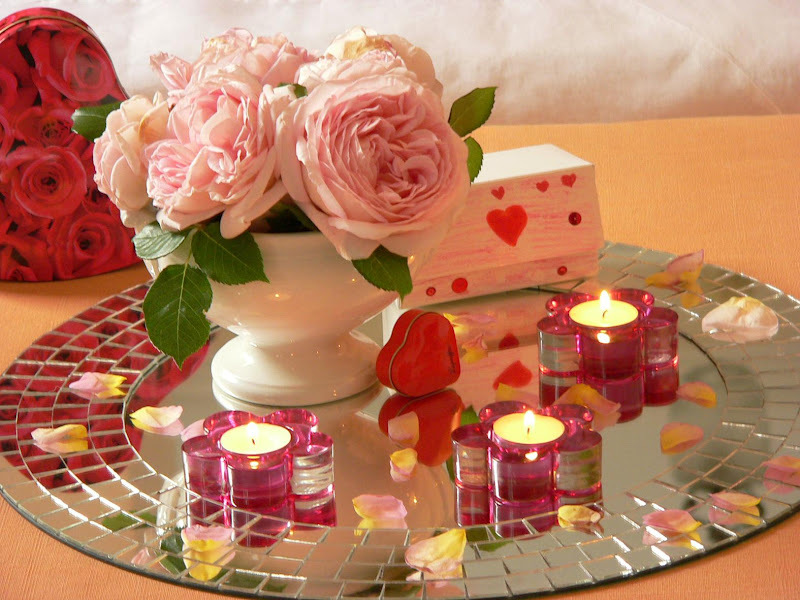 With these helpful tips, anyone can create a floral decoration on Valentine's Day with even a limited budget. Remember to focus on what will make the recipient happiest, whether that is vivid colors, a DIY touch or just a thoughtful card given in conjunction with the flowers. There's nothing better than fresh flowers! They brighten any room! A proper flower agreement can create your inexpensive blossoms look wonderful whereas a rough agreement can create a blunder of even the most unique blossoms. Thanks for sharing such beautiful ideas....!!!! Nice one.